Hello, I’m Jacinta though called Jes by almost everyone I know! I am married and have 3 children – 2 girls aged 13 years and 6 years and a boy who is 9 years old. We moved from London, UK to sunny California last month. Yes, a big move indeed! I am a teacher by profession but nowadays I am a stay at home mum and my days are busy looking after 3 very energetic children and our home. I am currently working on my first children’s book and looking for a publisher. 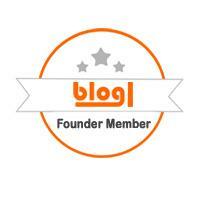 I love to read, cook, travel and of course – blog! I also enjoy writing poetry and you can view some of my poems at Forward Poetry where I was a featured poet. I began my blog not knowing the ‘B’ of blogging but I have come a long way since then and I am now ‘almost’ addicted to my blog. On my blog you will find some glimpses of life with my 3 wonderful children – some happy, some sad but each meaningful and dear to us. I hope to pen down things that will refresh my children’s memories as they get older and invite you to share them with me. 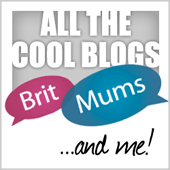 You will also find product reviews on my blog that I endorse because I think they are great and would be great for other children and parents too. There are also posts about campaigns that I pledge my support too. I hope you enjoy reading my posts as much as I have had writing them! It’s my pleasure to get to know you better through this blog, Jacinta. Nice to meet you too. Loved your poem but strangely enough I could not comment on it.